Education & Sports at RCS: a full mind and body workout. 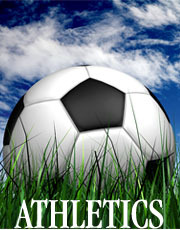 Sports are offered to 6th-8th grades with the exception of basketball and track. Basketball is offered to 3rd-5th grade and track is offered to 5th grade. Every coach at Renton Christian is here to help your child develop as a Christian and a student-athlete. All coaches have an open door policy when it comes to communication with the parents who have children involved in athletics. The role that parents play in the life of a child/athlete has a tremendous impact on the sport experience. With that in mind, the athletic department asks parents to sign the Expectations for Parents of RCS Athletes. Cheerleading - No Charge (Cheerleaders must pay for their uniforms). * Fees must be paid before uniform is issued to your student. * If a student plays 3 sports, the third sport is free. 1)Physical examinations last for two years and must be updated when expired. 2) Physical examinations must be completed before the first practice of that particular sport season. 3) Physical examination forms are located at the school office. 4) If you have any question regarding physical examinations please see Mr. Lambert. 5) 3rd-5th basketball player's parents need to sign a waiver form for their child to participate.